Welcome to a late edition of Figma News Fridays! Long hours, lying on the floor in despair, and nights with little sleep have culminated to bring this accursed coat together. And the reason? No, I am not trying to achieve the highest form of video game immersion. 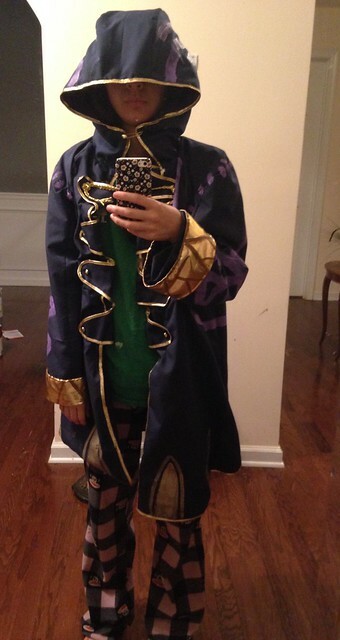 I am going to Anime Weekend Atlanta! This Friday and Saturday will be my first time at the convention in a long time, and it’s all because I had so much fun at Momo con. I will be Ash Ketchum on Friday and Morgan(pajamas not included) on Saturday. I will also bring Tamaki and a figma long. If anybody else will be there, please let me know! Now back to FNF. This week had the usual release dates and delays along with some unexpected announcements, so let’s get started! Today’s review isn’t on a figma, nendoroid, or scale! Instead, it features something from the latest infuriating craze! Unite your screams of anguish and frustration as we introduce Reflet/Robin from Nintendo’s Super Smash Bros. Amiibo lineup! Amiibos are Nintendo’s venture into the “toys-to-life” genre which utilizes NFC chips in small figures to unlock characters or features in video games. Other lines in the genre are Skylanders and Disney Infinity. All three proved surprisingly successful, but unlike the other two, Nintendo tried to increase the collector’s value of Amiibos by releasing them in small waves with emphasis on the most well known characters. This strategy was unexceptional in Europe and Japan, but created a frenzy in the US. Nintendo’s distribution practices have left characters like Pikachu and Mario very easy to get while characters like Reflet/Robin from less well known series like Fire Emblem can be difficult to acquire. Reflet is the default Japanese name for the avatar character in Fire Emblem Awakening. The avatar is a tactician and Awakening allows you to customize their name, gender, and appearance, and even reclass however you choose. According to the Fire Emblem wiki, Reflet is French for “reflection” which is perfect for a character who can become whatever the player wants. Reflet’s name in the English localization is Robin which was most likely chosen because it is an androgynous name and also starts with an “R”. Because this is an English review, I will be referring to him as Robin from now on. Since the Awakening avatar is customizable, their appearance is not canonized, and promotional artwork often features characters like Chrom or Lucina instead. The few times that the avatar is shown, a hood obscures their face. This is true also in the game’s opening and movie sequences. Seeing how much effort was put into ambiguity for the player character, it is funny to see that when the avatar was added to the fighting game Super Smash Bros., all of that was tossed aside for the default name and appearance. Appropriately, I first saw Robin while playing Smash Bros. in a hotel room at a convention. I had never played before, and as my eyes slid across the lineup looking for a pretty lady to play as(these things matter to me), I saw him. He had white hair(my favorite thing ever), he used magic(my second favorite thing ever), and he had a long coat(my third favorite thing ever). He was perfect. Afterwards, I bought Fire Emblem Awakening to find out more about him, and loved it. 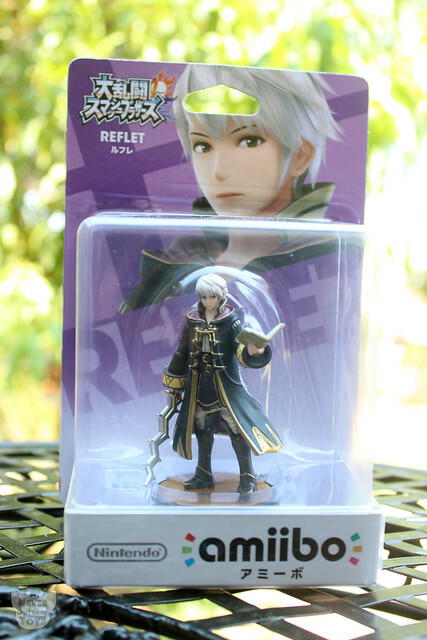 Of course my other automatic reflex was to see if there were any figures of Robin, but I only found the overpriced Amiibo. Then when I was checking amiami one night, I saw the Amiibo for retail and preordered him. Amiibo Robin is still not easy to find, and this is the only figure of him, so I wanted to give people a look at him from a figure collecting perspective.